Final Cut Pro X is now updated to 10.4. Where as the leap to 10.3 brought with it some more radical changes to the app (e.g. Roles) this update focuses on 360 video and new colour grading functionality. If you’re wondering what HDR really is and how it works, this episode of FCPX in Under 5 minutes has got you covered. If you’re eager to update to FCPX 10.4 there are a few things you should do to preserve the integrity of your previous project data. Richard Taylor has a helpful step by step guide of best practices here or you can check out Apple’s official back up guide here. You will need to be running macOS 10.12.4 or later to update to FCPX 10.4. In this short video from 9-5 Mac you can pick up 5 ‘lesser known’ features in the 10.4 update including an improved proxy workflow warning, animated gifs, and creating a project based on clip parameters. Peter Wiggins over at FCP.co talks in more detail about proxy workflows in this post, and FCP’s new ability to accept third-party proxies rather than creating it’s own. He also highlights Ben Balser’s video (below) which demonstrates this and some other ‘lesser known features’. It is early days with this workflow and it would be good to see third party software being clever enough to work out which high resolution files to send from an exported XML of the finished edit from FCPX. Sounds like another opportunity for Greg & Philip – compare XMLs! If you’re looking for a one-stop shop to learn about everything you could possibly want to know and more about FCP, then Peter’s site and the comments, are the place to be! Quite a few editors have been sharing tips and tricks on the new update, including a few important things you should know about what’s changed and what hasn’t. @marcplanb Any new “little things” you saw in #FCPX 10.4? 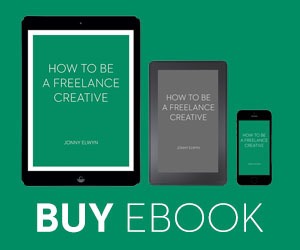 Those non-flashy features craft editors will like the most? Click on the date stamp of Scott’s Tweet to see a substantial thread of tweets in response! Once you use a LUT, here is how and where you can find it. Alex points out in his excellent write up on the 360 features in FCPX 10.4 that the following commands have been added to the custom keyboard shortcut panel. In an usual move from Apple lots of editors were given a preview of FCPX 10.4 before it launched and where allowed to share things about it publicly online. This has meant that training providers like Ripple Training have been able to release new training on the day of the update. In this playlist above you can watch 10 free tutorials on some of the new features in FCPX 10.4, with 4 lessons on 360 video editing and 6 lessons on the new colour grading functionality. Personally I’m not that interested in 360 editing (in any app!) but if you are then you should definitely read editor Alex Golner’s excellent write up here. Ripple Training founder Steve Martin has also created a whole new series on editing 360 VR video in FCP too, which gives you an hour and half introduction to the whole process. What is more interesting to me are the new colour grading tools inside of 10.4. Ripple Training founder Mark Spencer covers these briefly in the following free tutorials. Once I’ve had a chance to have a bit more of a play with these I may well write up a post comparing them to Colour Grading Central’s Color Finale Pro, which was also recently updated. Beefy color update. It brings needed tools for almost everybody and other ones that maybe not a lot of people today (HDR). If you like to read your way through the new tools then editor Marc Bach has a very detailed write up on them here. Richard Taylor shares this quick tip on how to use the White Balance Color Picker in about a minute. Richard is also the chap behind the ever entertaining FCP Radio podcast. Check out Episode 54 for the full low-down on all things 10.4 related. Richard also maintains his own master list of FCPX resources here too. 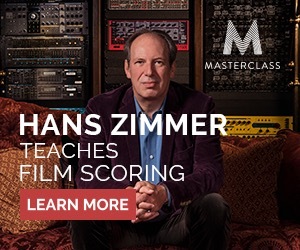 Mark Spencer from Ripple Training has also created a much more in-depth training series on using the colour grading tools that runs to 4 and half hours of training. 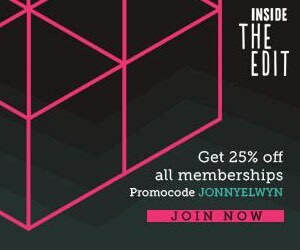 You can check that out here, including 4 free mini-previews from the course. FCP 10.4 Sound Editing – This will be updated after Christmas and freely available to existing customers of this title. If you have Ripple’s Core Training already you will likely have received an email about the free upgrade to the updated training. If you’re a new user then hopefully that will help you make more sense of what’s old and new. 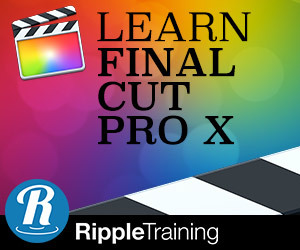 Ripple Training have also updated their free, 10-part, tutorial series on getting started with Final Cut Pro 10.4 for the first time. The Final Cut Pro Virtual User Group had a timely new meeting (it’s 9th outing?) to discuss the new update to Final Cut in this nearly two hour live stream. If you’ve got the time to listen to these guys have some valuable tips to share! You can check out previous episodes of the Virtual User Group here. Final Cut Pro 10.4 was just released. FCP Editor Thomas Grove Carter, who has previously shared some really great tutorials that I’ve rounded up here, has been lucky enough to not only have had early access to an iMac Pro but also FCP 10.4. Wow! This is a fantastic post. Thanks for sharing your extensive tips, tricks, and tutorials. I’m only scratching the surface, but this is awesome! Hey Jonny, I’d love it if you’d add my video to your list to get the word out on manipulating proxies… hope you like it and will add it.